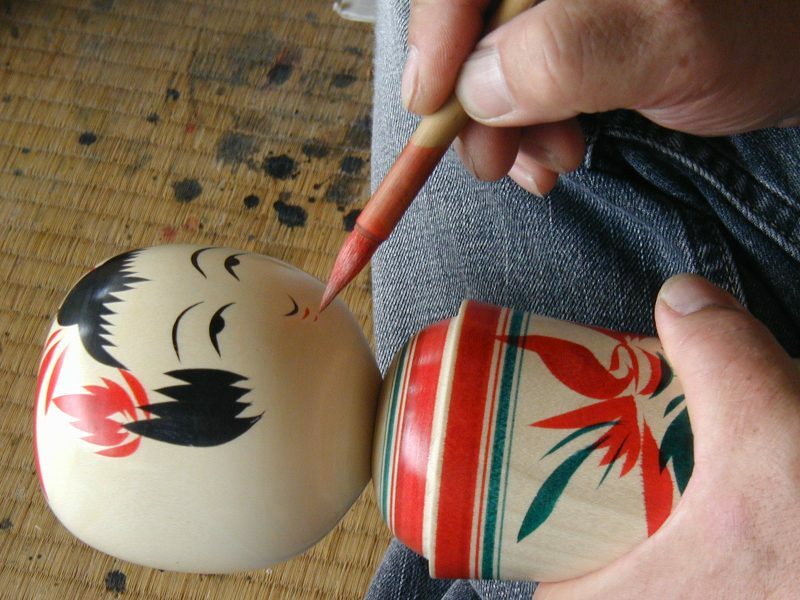 The making of kokeshi dolls is said to have started from around the middle of the Edo period as souvenirs sold to visitors at hot spring spas in the Tohoku region. In those days, unfinished wooden toys from the mountain villages of the Michinoku region were seen as excellent playthings for children, who had little else for entertainment. Among these toys, kokeshi dolls from Naruko have a particularly unique style to them acquired over their long history such as creative hairstyles for bangs, a bulge at the shoulders, a stable chest, and realistic waistlines. The heads are made separately and fit onto a peg at the top, and if you turn the heads left and right, they make a squeaking sound. The dolls are in the shape of cute little girls from the Michinoku region. 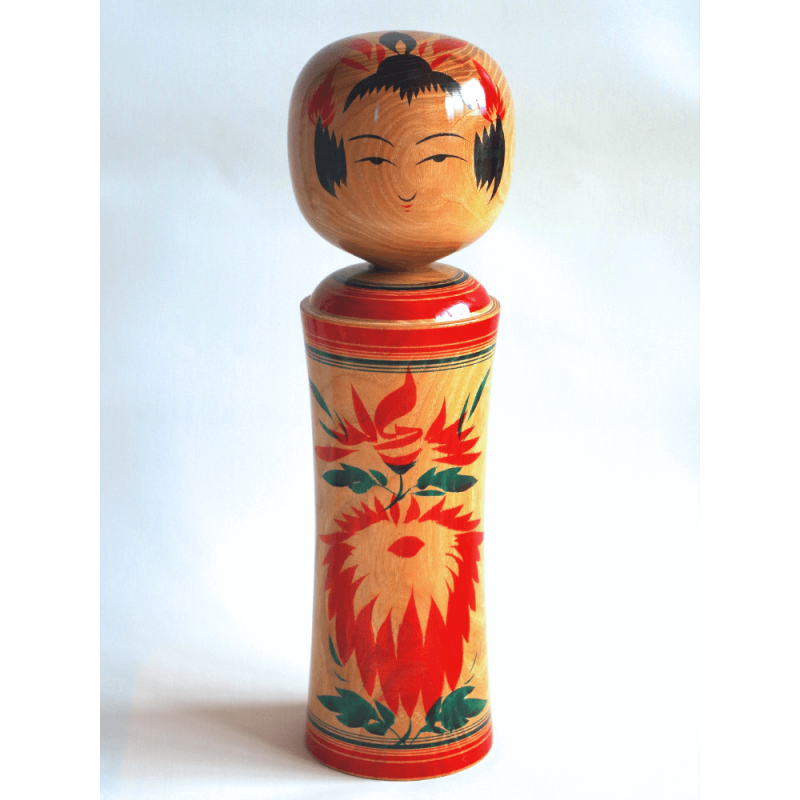 *Lucky charms made to fulfill a particular hope by woodturners keeping the traditions alive. 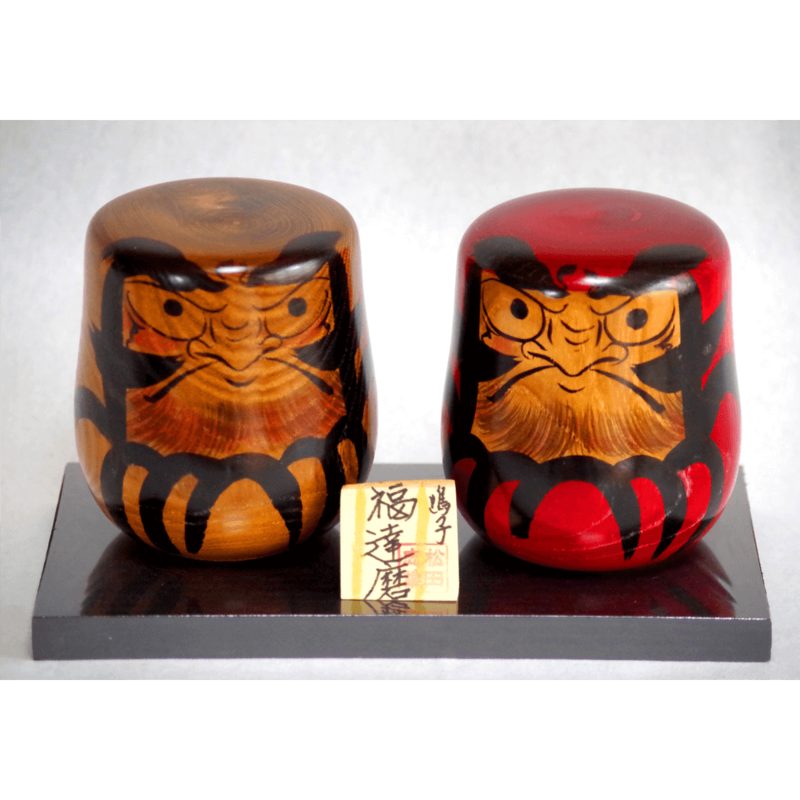 ・“Birth kokeshi” – To commemorate a birth in the hope that the child will grow up healthy. 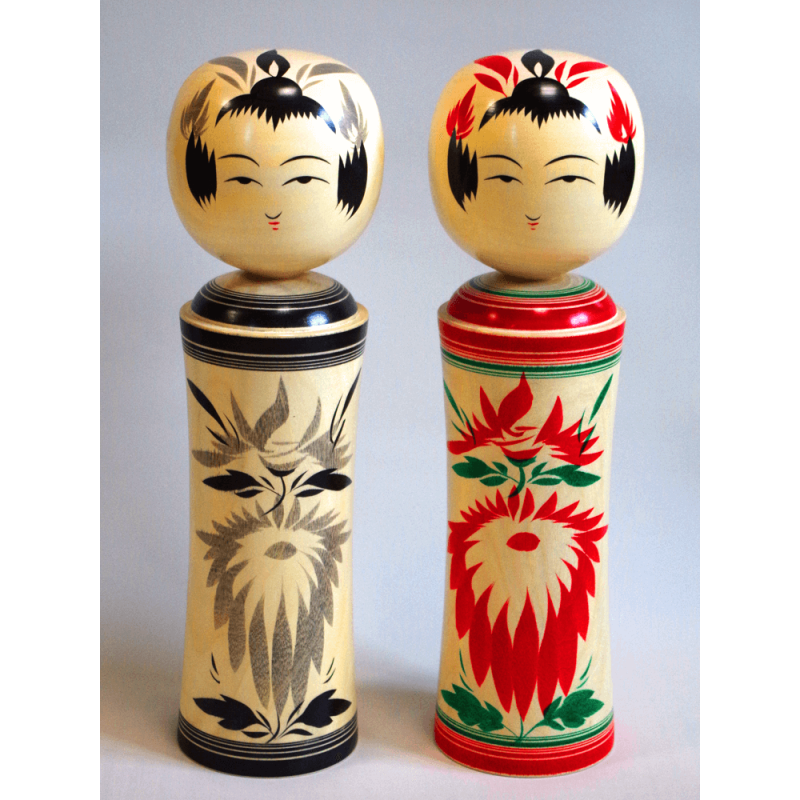 ・“Marriage kokeshi” – To hope for an ever-happy marriage full of smiles. 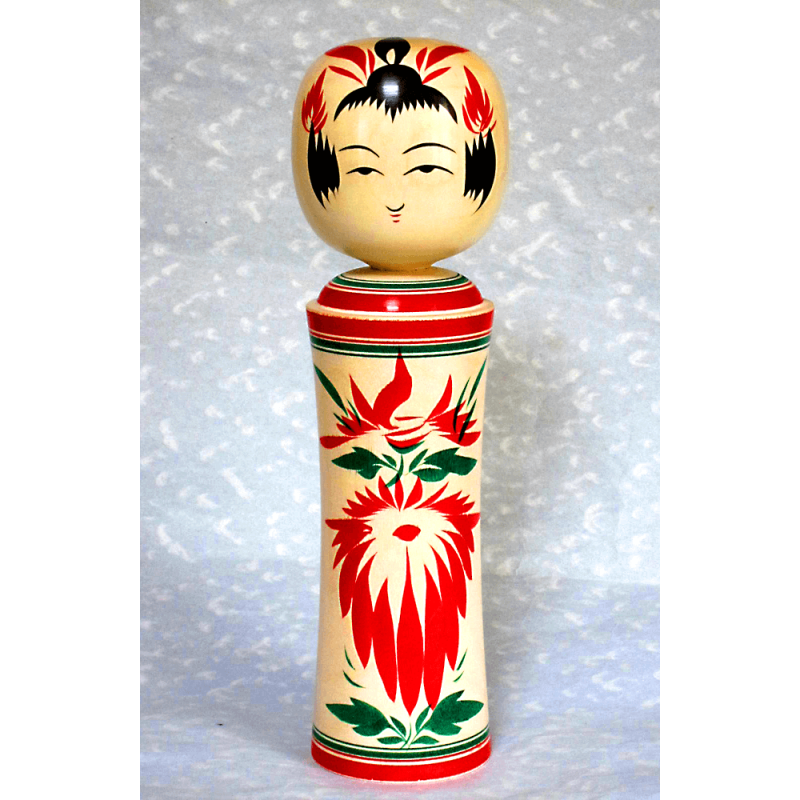 ・“Enju (pagoda tree) kokeshi” – Placed in the northeast corner of new houses, etc. to ward off evil spirits.